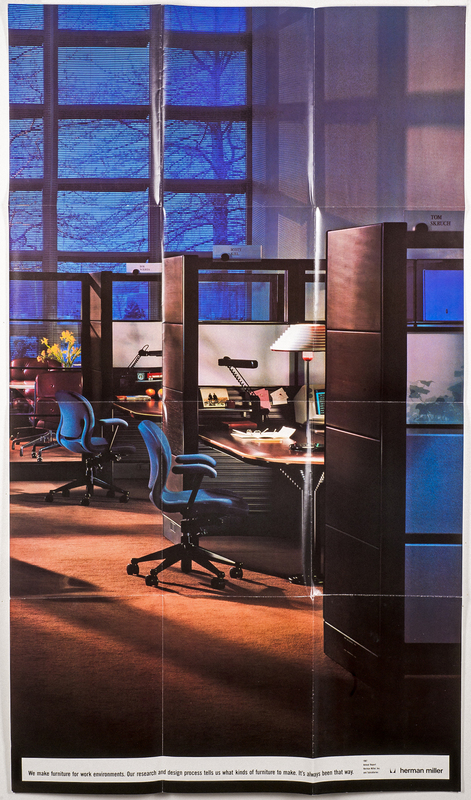 Herman Miller Annual Report. 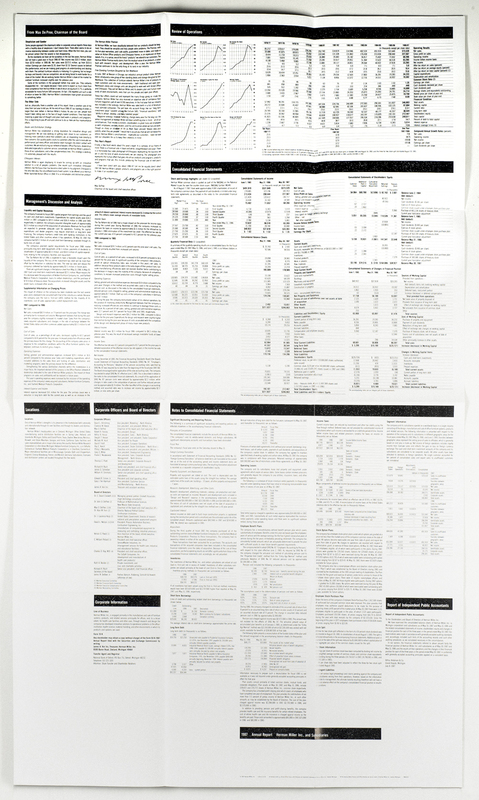 A large poster features a full bleed photograph of Ethospace Interiors system offices on one side and all of the year’s financial data on the other side. 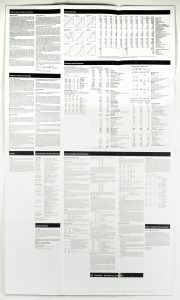 Size Folded: W 8.5" x H 11" Open: W 25.5" x H 44"
Techniques Offset printing. 4 color process one side, 1 spot color other side. Gloss coating on photograph. Scored and accordion folded, 2 directions.